How to get motivation up? Everyone (at least I) has sometimes problems with their motivation to juggle, so I'm asking you how do you get your motivation up when it vanishes. Re: How to get motivation up? Try going to a convention near you. Worked great for me! If I don't want to do it, I won't. Diabolo isn't a thing I need to get better at. It's a thing I do for fun. Having a little period of time with no motivation is usual. Take a break, for example a week, it helps for me. there are days I cant be bothered Diaboloing, so I dont. Listen to music that you like, and motivate up you, while playing diabolos and watch a video before playing. have a cup of tea. I haven't even touched a diabolo in a couple of weeks. A few more weeks and I might have another go. Too busy. Having people who share the same interest will motivate me/someone to keep playing. I'm over teaching it, I want someone to teach me for a change. 1. 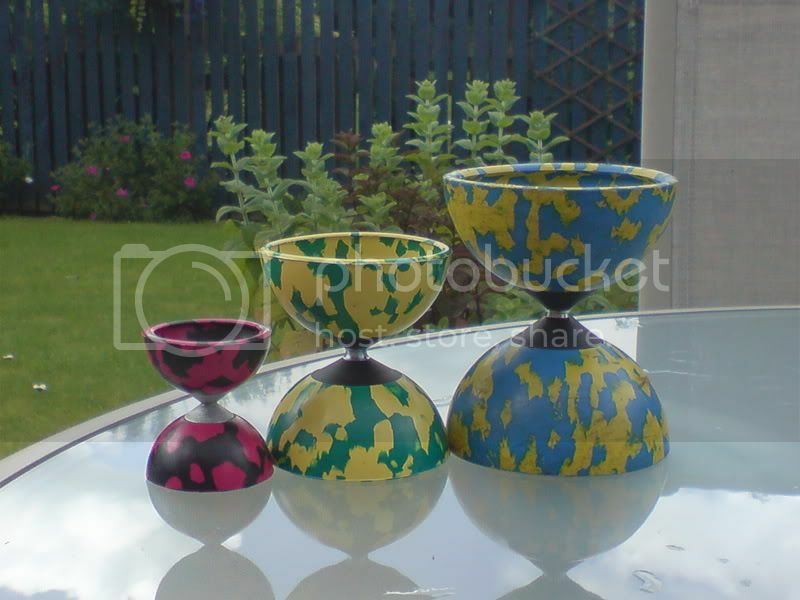 Try to think back to what got you REALLY hyped for Diabolo. When I say HYPED, I mean HYPED. Then, all you need to do is re-enact that situation and you're good to go. 2. Watch videos online to help get you pumped. Usually seeing new tricks would make people want to learn them, so try that. 3. Just quit. If you want to, then quit. If you don't want to, then after you quit you'll spring back in full force. 4. Go to a person who knows diabolo. Play with him. For me it was a few months of lack of motivation before I came back fully loaded with V! @gr@ (censored for young people). It's because diaboloing became a passion that, because I was away from it for such a long time (partly because I was sick of it, but mostly because I had way too much things to worry about), when I came back to it, I wanted to do more and try harder and accomplish so much more than before my break. So just give it a few days and rest...it's probably just annoyance or a natural block that people will always get. If you juggle and you know it, do [insert complex siteswap notation]. watch a video before playing. It works great for me..